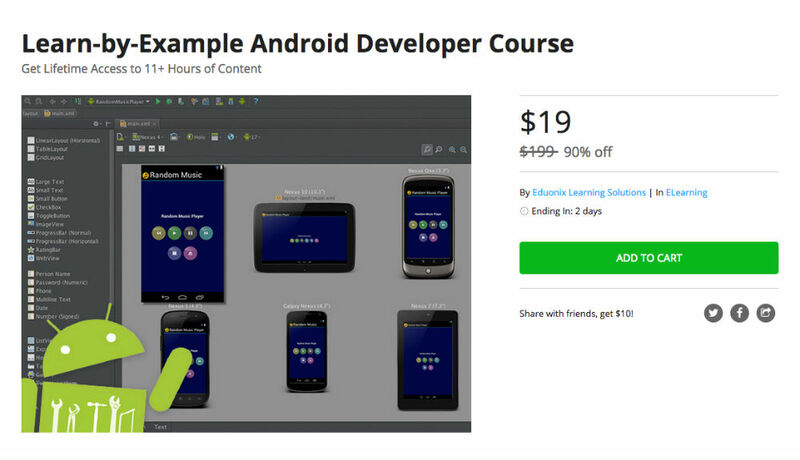 On the DL Deals Store, you can grab the Learn-by-Example Android Developer Course, usually priced at $200, for a price of just $19. This course includes 59 lectures with 11+ hours of content, sure to bring you up-to-speed on developing for one of the world’s most rapidly expanding mobile operating systems. Inside, users will learn how to operate with available APIs, such as the YouTube API and Google Maps API, allowing to create unique, yet useful applications for others to download. In addition, you will gain much-needed experience working inside Android Studio and Eclipse ADT. If becoming a developer of Android applications is on the agenda, check it out.